Joe Romano began painting in the mid-sixties while attending the Combs Conservatory Of Music in Philadelphia. At that time he befriended the renowned artist and teacher Benjamin Britt whose studio was across the street from the Conservatory. Joe would spend several hours a week at Ben's studio watching him paint while working on some of his music studies there. One day, Ben handed Joe some paint and said that he should make a picture. Although he had no training, and felt intimidated because of Ben's mastery of art, at Ben's insistence he "made a painting". "I was hooked", said Joe, and from that moment, although music was his main creative outlet, painting became his other passion. An example of his music can be found at Blush Records, the album One Romantic Night. In 1974, while living in Los Angeles, he was invited to show some of his work at a local exhibition of Los Angeles artists, and he was "discovered" by a local gallery there that wanted to exhibit his work. He continued to work in the music industry, as a composer for film, records and theater. All his spare time was devoted to painting. In 1989, an art dealer he met wanted to do a one man show of his work for her private clients, many of whom were in the entertainment business. Of the 30 pieces assembled for the show, 19 sold on the first day, and his recognition among serious collectors began to take off. Since then he has shown in many galleries and exhibitions, mostly in the Los Angeles area. In the mid 90's he met Dan Prince, one of the leading authorities on Outsider Art — art by self-taught artists. Dan's gallery in Santa Monica California was the premier gallery in the country for outsider art, and Joe sold many works through that gallery. 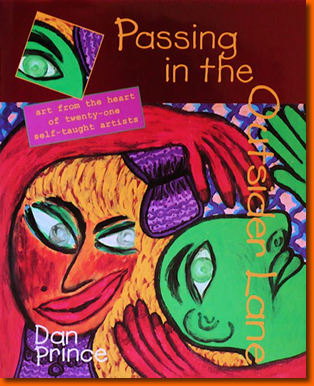 Dan also composed a book for Journey Editions called "Passing In The Outsider Lane", and Joe was one of the artists featured in that book. Joe recently moved to Ashland Oregon with his wife, playwright Lisa Loomer, and their son Marcello.